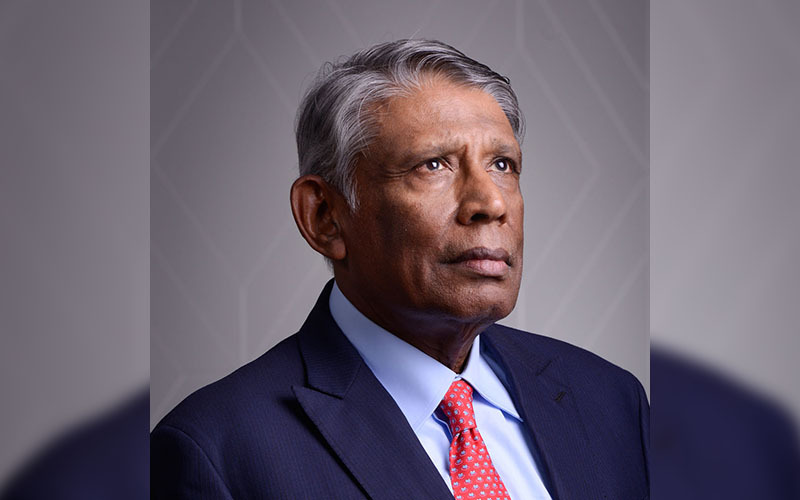 PUTRAJAYA: The Federal Court today affirmed the findings of the Advocates and Solicitors Disciplinary Board (DB) and two lower courts clearing senior lawyer Cecil Abraham of professional misconduct. Chief Judge of Sabah and Sarawak David Wong Dak Wah said based on the circumstances, a reasonable tribunal would have come to the same conclusion that the respondent is not guilty of misconduct. “The standard of proof is beyond reasonable doubt, and the appellant has not made out a case,” he said in dismissing the appeal brought by the Bar Council. Wong, who delivered the judgment, said the apex court also found that there was no blatant error in the application of law. The appeal hearing was chaired by Chief Justice Richard Malanjum with Wong, Ramly Ali, Mohd Zawawi Salleh and Balia Yusof Wahi on the bench. However, the judgment was pronounced by a four-member bench since Balia retired last week. Abraham’s counsel Rishawant Singh asked that the council pay costs of RM150,000 as the case, which began in 2015, was brought up to the Federal Court. But Bastian Pius Vendargon, who appeared for the council, said no costs should be awarded as the lawyers’ group was performing a statutory function. “It brought this case following a decision by members of the general body at an annual general meeting,” he said. Malanjum then ordered that no costs be awarded. Last year, the council failed again in its appeal against the DB’s decision clearing Abraham of any wrongdoing. This was in relation to a second statutory declaration (SD2) by the late private investigator P Balasubramaniam, or PI Bala, which purportedly cleared ex-prime minister Najib Razak of any involvement in the high profile murder of Mongolian model Altantuya Shaariibuu in 2006. The Court of Appeal ruled that the complaint and evidence against Abraham was patchy and largely unsafe to warrant a finding of misconduct under Section 94 of the Legal Profession Act (LPA) 1976. A three-member panel chaired by Tengku Maimun Tuan Mat said the bench was convinced that the April 4, 2013 letter and its appendices did not comprise a complaint under the LPA and the relevant disciplinary rules. “The thrust of the letters are direct queries from the Bar, asking whether the respondent (Abraham) had any knowledge and was involved in the preparation of SD2,” she said. Tengku Maimun said Abraham replied that he was unable to divulge this information as the solicitor-client privilege applied. She said at the disciplinary hearing, Abraham effectively altered his stance by denying any involvement in the preparation of SD2. She said Vendargon submitted that this amounted to a departure and constituted strong circumstantial evidence that Abraham was involved in drafting the SD2. However, Tengku Maimun said Abraham explained that his firm had merely given advice on the SD2 which warranted invoking solicitor-client privilege which was accepted by the disciplinary committee (DC). “We, on our part, having examined the record, find that the circumstantial evidence does not establish the misconduct complained of,” she said. The Bar filed its appeal in May 2016, seeking to set aside the DB’s decision, and an order that Abraham be found liable for misconduct. It claimed the DB had erred in law in affirming the finding and recommendation of the DC. In March, the DB affirmed the DC’s finding and recommendation that there was no cause for disciplinary action against the senior lawyer. On Dec 5, 2016, justice Hanipah Farikulah dismissed the Bar’s appeal. A complaint was filed against Abraham for allegedly drafting the SD2 for PI Bala, who was a prosecution witness in the murder trial of Altantuya. 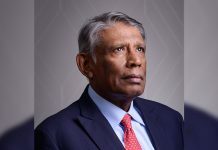 On July 4, 2008, PI Bala signed the SD2, retracting the entire contents of his first SD and alleging that he was compelled to sign the first document under duress. A day earlier, he told a packed press conference, organised by PKR, that the contents of the first SD, which implicated Najib and several others in the murder of Altantuya, were true. PI Bala, a key witness in the Altantuya trial, died of a heart attack on March 15, 2013. 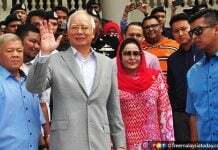 He had worked for political analyst Abdul Razak Baginda, an associate of Najib who hired him to monitor Altantuya before her disappearance.